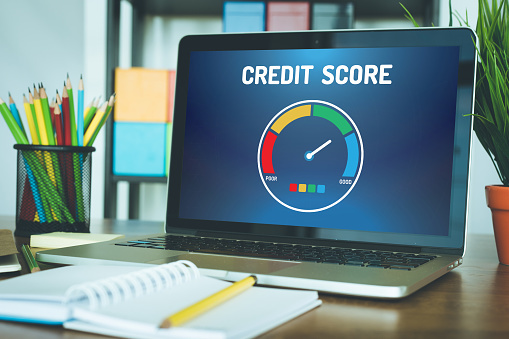 Having a good credit score is important, because it will allow you to get credit when you need it for large purchases, such as buying a car, or to get credit when there is an emergency. Your credit rating will also affect your ability to get a mortgage or rent a house. Your credit rating is held on your credit file, which contains information about your financial history, such as your bank accounts, any other credit accounts – credit cards and loans, and whether any payments have been made in full and on time. Your credit rating is updated roughly once a month and can go up or down depending on your financial conduct. Without previous history it is difficult to get credit for the first time, especially when you have been studying for several years. But there are ways to build a good credit rating as a student. Credit builder cards are credit cards specifically designed for people with no or low credit rating, and they allow you to build up a good credit rating. Using it to pay for small regular outgoings, such as food and travel, and paying off the balance each month will gradually increase your credit score. However, these cards do come with high interest rates and non-payment fees, meaning that if you don’t pay the balance off in full each month you will be subject to high charges. Set up a direct debit to make the payment every month to ensure that you don’t miss a payment and find yourself in even more debt. Many lenders are more likely to accept you for credit if you have a landline listed on your credit application because it ties you to a fixed address and indicates that you are less likely to default on a payment. Not only does being on the electoral roll help confirm your address, it also shows stability to lenders. If you are living in halls, registering at your home address provides lenders with an impression of dependability. Paying your bills on time will help strengthen your credit rating by letting lenders know that you are reliable. Bills such as mobile phones, utilities and rent will all be listed on your credit file and will affect your credit rating. Become known as a reliable creditor and you are more likely to build a positive credit score. While initial discounts might be tempting, store cards tend to carry a high interest rate which will outweigh any discount you might have enjoyed on your first purchase. In addition, failing to pay off store cards in full and on time will have a detrimental effect on your credit rating. Every application you make for credit will leave a mark on your credit rating. If you are refused credit for any reason this will adversely affect your credit rating. Several failed credit applications in a short period is a red flag to potential lenders. Unarranged overdrafts are a very costly way to borrow money and will adversely affect your credit rating. If you go into an unarranged overdraft for even a day the charges can be huge, and the interest is much, much higher than it would be on an arranged overdraft. It is best to try and avoid using an overdraft as much as possible, but if you think there is even the slightest chance that you will need an overdraft make sure that you arrange it with your bank in advance. Many student accounts come with a free overdraft facility, if it is pre-arranged. While it might seem like a good idea to open a household joint account with your flatmates to cover bills and rent, this is rarely a prudent choice. If you have a joint account you will be co-scored by agencies, this means that in theory, your flatmates financial conduct could have a bearing on your credit score. Using a bill splitting app is a safer way to ensure that everyone pays their share. Checking your credit score doesn’t appear on your credit file. There are three main agencies in the UK that hold credit information, they are Experian, Equifax, and Callcredit. It is worth checking with all these agencies to ensure that they have the correct information. If you find inaccuracies, get in touch with the agency in question to get them resolved. Building a good credit score is crucial to ensure that you can access credit when you need it and all of the above suggestions are worthwhile whether you are a student or not. And while you might be looking to hold off on those large purchases until you are out of education, your financial conduct during your time studying will have a bearing on your future. Ensure that you are create a good financial reputation now, to make your financial future easier.